After months of it being tinkered with in the Batcave (see: Rocksteady offices), Arkham Knight has finally been re-released on Steam in a condition fit to play. Or is it? Despite the lengthy time it has been unavailable, the game still seems to be struggling, even by Warner Bros.’s own admission. If open-world Gotham just isn’t working for you, then why not try one of the other best sanbox games on PC? Players have taken to public forums like Reddit and Steam to discuss their issues with the re-release, which include terrible framerates, non-functioning graphics options, and minor bugs. There’s even an issue with the game crashing at the very start of the game when using the grapple hook, a bug that has existed long before the re-release. 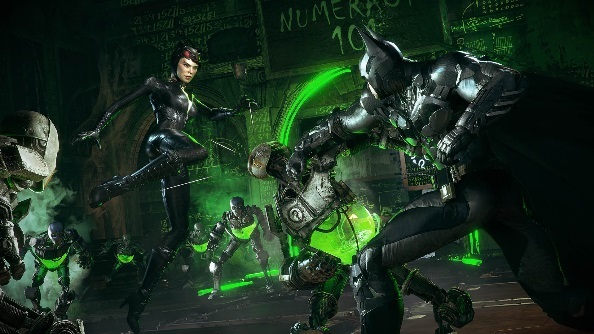 It seems like Arkham Knight is still in a pretty poor place then. As we’ve done with the original release and major PC patch, we’ll be returning to Arkham Knight to see how it performs for a new Port Review shortly. Keep an eye out for that one, Batfriends.